You are currently browsing the The Pet Product Guru blog archives for the day Tuesday, January 22nd, 2019. According to the Cat Fanciers Association, the Persian is the most popular pedigreed cat breed in the United States. It could be it’s long, beautiful coat that makes everyone love it or maybe it the Persian’s playful personality. It’s also quite and easy going and most Persians readily adapt to new households and accept other pets. This makes the breed relatively easy to care for. Persians do require extra grooming. 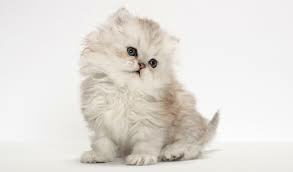 Their large eyes are prone to tearing and infection so a Persians eyes and face should be kept clean. The breeds long fur can also become matted so they should be brushed daily. Persians are a pleasure to own and all the extra care is worth it! The oldies play all the time on Edgewater Gold Radio — Great oldies and great memories. Download the free Edgewater Gold Radio app or listen from our website: Edgewatergoldradio.com.